We all want to be listened to, respected, and taken seriously by our loved ones, friends, workmates…and yes, our kids! It’s hard when they don’t listen to us, especially since we have such good things to say! The good news is that there are lots of ways to up the chances our children will pay attention to what we say. As you read, realize these tips will help all your relationships! This verse is full of wisdom for us. Jesus had just shared the parable of the Good Shepherd. He explained that the reason His followers listened to Him was because He knows them, and they follow Him. Notice what is first. He knows them. They follow Him. Following includes listening to Him. This is where we need to focus, on knowing them rather than trying to force them to listen to us. That never works. As we deepen our relationship with our child, there is a greater chance they will listen to what we have to share. Having a strong emotional relationship with our kids makes more of a positive difference than any parenting techniques we employ. When children feel emotionally connected to their parents, they feel known and accepted, and they are much more likely to listen. I was recently a guest on my friend, Kristi Clover’s “Simply Joyful” Podcast. You can listen to it here. There are a lot of things you can do to establish an emotionally close relationship with your child. Babies as well as small children soak in love through eye contact. Make sure you make eye contact both when things are going well and when they are not. Set aside your phone, to focus on them. Kids soak up hugs, kisses, and being held. As children grow they may prefer other ways to connect physically, such as sitting close while reading or watching TV together, wrestling, or pats on the shoulder. Get to know your children and what they like. This means spending focused time with your child each day, if possible, by interacting with them on activities that they enjoy. Try to not text during this time. You may feel like, “If I give them any more focused attention I’m going to die!” We already give them lots of attention just to keep them alive! Validating your child’s feelings helps them feel known and loved. This doesn’t mean you agree with them or see things the same way. The purpose is to let them know you understand what they are going through. You put yourself in the shoes of your two-year-old, five-year-old, or ten-year-old, and ask yourself, “What must it be like to be my child in this situation? What would it be like for them to have this happen?” You then reflect back their thoughts and feelings while still applying boundaries. We need to avoid having our “talks” turn into lengthy lectures or sermons. Parents who lecture feel like they had a good talk with their child, but there was no conversation. Often the child on the other end of the lecture will feel like their “talk” was awful. We can learn more about our kids by listening to them than by talking “at them.” A child who expects to be yelled at, or who feels disconnected, will not listen to us. If we don’t have a close emotional connection with our kids, they will appease us, aggress against us, pretend to listen, or ignore us. If we are too busy to spend time with them, our kids’ internal needs won’t be met, and they will be less likely to listen to us. When we try to talk them out of their feelings, or tell them their feelings are wrong, we are essentially not listening to the tender part of themselves they are trying to share. They, in turn, won’t listen to us. Often our kids may seem like aliens from another planet. We need to listen to find out what is going on in their hearts and minds. As we ask questions, they get to know themselves better too. We are busy, and it’s a challenge to get food on the table, do laundry, go to work, and handle all the details of life. Try to let go of things that are not necessary, to make sure you have time to be with, and enjoy your kids. We often run around doing things for our kids because we love them so much. They benefit from all we do, unless we are so busy we can’t spend time playing, talking, and hanging out with them. “The purposes of a man’s heart are deep waters, but a man of understanding draws them out” (Proverbs 20:5). This helps them feel understood and loved on the inside. We want them to know that we love and care about their inward self, not just their outward behavior. It is so normal that you want your children to listen you. As you deepen your relationships with your children, there will be many benefits to you and your family. Don’t forget to be compassionate with yourself about where you struggle. Ask God for wisdom and help to discern where you need to begin. Is it in stopping certain ways of responding to your children/teens? Is it in increasing your time together? Is it in the area of listening with empathy? Do I make it harder or easier for my child to listen to me? What gets in the way of listening to my child? Were my feelings listened to as a child? What is one thing I can try this week? What stood out for you in this column? What would it be like to be listened to like this? How would your relationships change if you were able to listen to others in your life this way? What’s one thing you’d like to change this week? Thank you for all you do, Kim. Your work is such a blessing. I’m praying for health, wisdom, grace, and the Lord’s favor for you at your appointment today. Maura, Thanks so much! It went very well! I’ll send an update next week. So appreciate your encouragement and prayers! More gems of wisdom from my favorite blogger! This makes me think how much I’d like to have some “do-overs” from the child-rearing years. 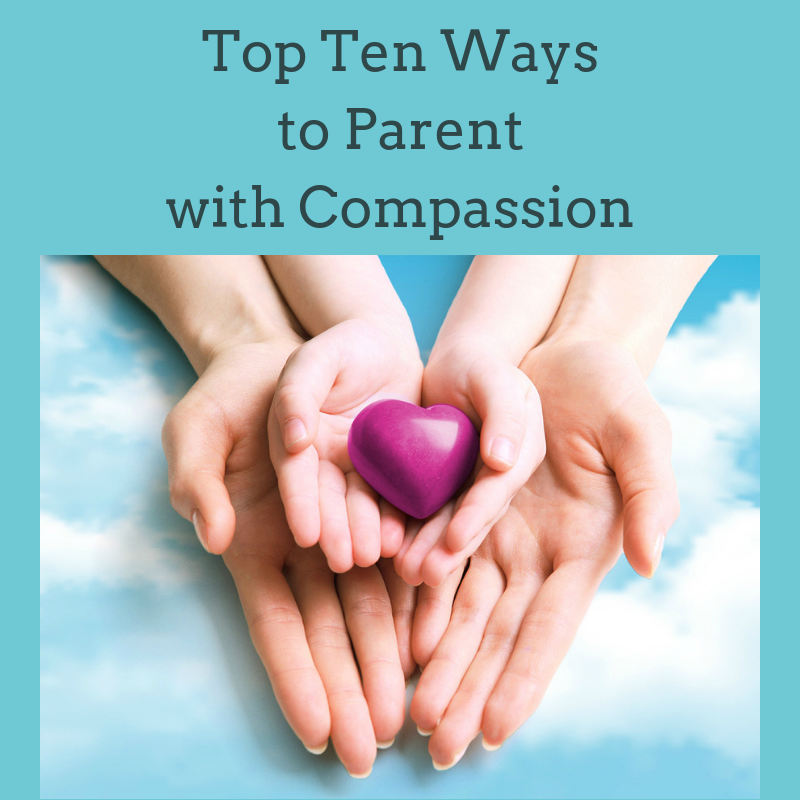 Parents today will benefit greatly by having this information and putting it into practice. I remember the days of Dr. Spock as the “expert”. I wish I’d had your information back then, although I never had the distractions of smart phone, texting, Facebook or any of the other social media available today. I am so puzzled and even distressed whenever I go out and see parents with young children at lunch, at the park or other events and the parents are on their phones. Even the young people out socially are often all paying more attention to their phones than to their friends. Sadly, this even happens at church. I have noticed more articles commenting on this addiction, and even the cartoon strips are addressing it! Thank you for touching so gently on the subject in today’s message. Praying for the meeting to go well and for positive results, always in God’s will. Thanks Kristi! Such a blessing to get reconnected and be a guest on your podcast. Many blessings to you!